It was by brother Bill’s 50th Birthday Party. He didn’t look it. He didn’t act it. None of us were acting our age, it was a cowboy theme party! We were having a great time at my cousin Marnie’s house in Eagan with all my cousins assembled, my Aunt and Uncle, my sister Suzy, Sara was in Wisconsin, my mom and my dad and brothers Bill and Scott, and dad’s wife, my dear friend Patricia, who everyone called Trisha or Grandma Trish depending. We were all having a wonderful time and the cowboy hats and scarves were certainly helping. We all smiled! It was the first time in many years the six of us had been in the same picture together. Not by design, just by circumstance. My dear friend who I refuse to call step-anything, Trisha gave us a wonderful gift that day. Mom has dementia and doesn’t quite understand everything. The rest of us are very happy with the way life has turned out. 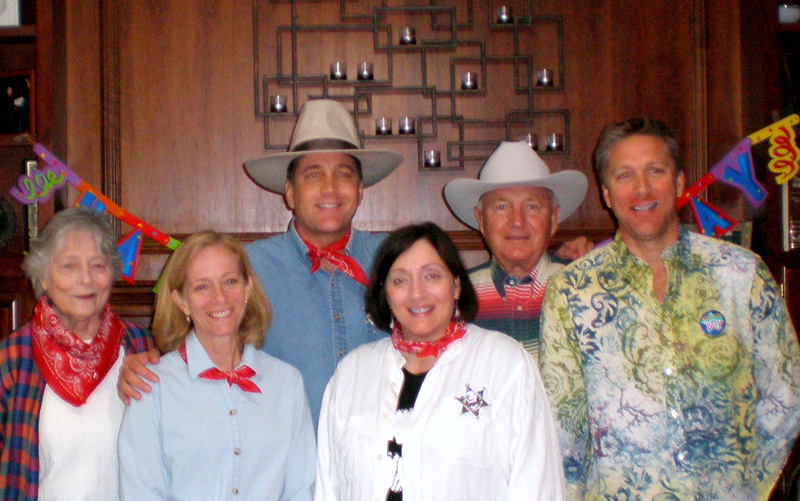 Yet wasn’t it nice — on the day we all were together to celebrate my brother Bill and his matching cousin Muffy’s 50th birthday’s in our cowboy clothes — we were given a glimpse into the past and a moment of remembering? I liked this, the older photo reminded me of Christmas with the family, it was heart warming. Libby I had a top just like that one, it was a love- hate toy. You do all look like you got to relive a special experience. That was so gracious of Trisha in the Cowboy photo. 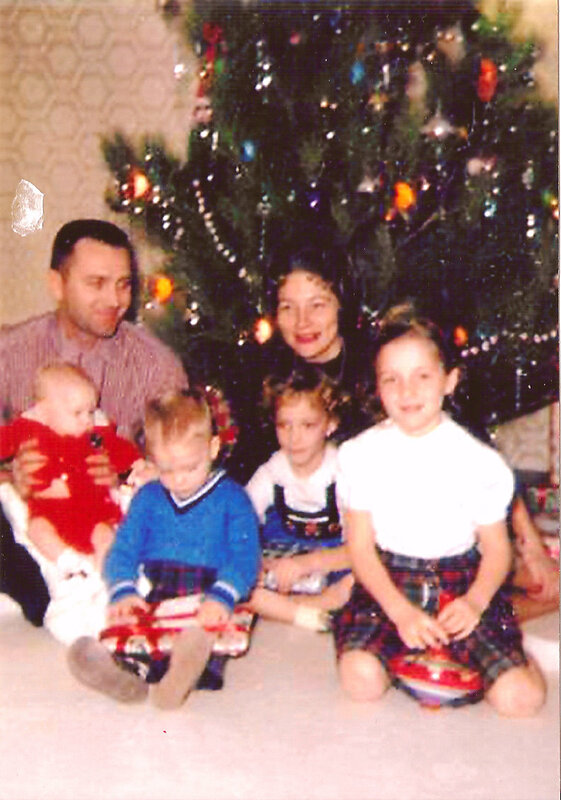 Love that you have so many wonderful family photos from your childhood. I can count on my fingers how many photos I have from when I was a kid and certainly none as a “family”. Love that you were able to take that first photo together! Great photos! The time and memories of which you’ve written here are good gifts. Blessings, Libby! Thanks Mark! Blessings to you, too!